This is the first in a series of profiles I’ll be presenting. I hope it encourages you and provides the motivation you need to keep moving forward. I first got to know Nate Morrison through a shared love of military fitness. I guess you could say that I’m a student of his. I bought one of his manuals several years ago and have been following and interacting with him ever since. If you want to get into shape for the military, get into better shape for higher PFT scores, or get back into shape (this is me at age 41), he’s the guy you want to get in touch with. You can find Nate at RIKR Defence. For now, I’ll let him tell you more about himself. Nate Morrison is a former USAF Pararescue team leader and US Army Special Operations Combat Medic. He is the founder of the Pararescue Combatives program and cofounder of the AFSOC Human Performance program. He was a military freefall, mountain warfare and special operations medical instructor. He is recognized worldwide as the leading expert on military fitness training and combative human performance. Mr. Morrison has written extensively on the subject of military fitness and human performance; publishing 16 books, 6 DVDs and hundreds of articles worldwide. He has worked as a consultant to several companies and organizations facilitating research and development of a wide variety of products to include helmets, backpacks, clothing and aircraft systems. He has vast experience in teaching a wide variety of special operations skill sets in the private sector to military, law enforcement and other government agencies. He is the founder of RIKR Defence, LTD; specializing in full spectrum soldier and operator development to include human performance optimized equipment and TTPs. Can you give me a short synopsis of your service career? I entered the US Air Force immediately after graduating high school. It couldn’t happen fast enough for me! I was desperate to get out of northeastern Vermont and do something exciting. I was on a GTEP contract so I went straight to Pararescue selection (also called indoctrination). I loved it there but I had to repeat selection three times in a row. The first time I got recycled was because I couldn’t tread water properly. They teach you to use the “egg beater” method and I just couldn’t get it down so I tried using a frog kick. They told me it wasn’t going to work as the time went up every week and they were right. About two weeks after they recycled me, something clicked and I went from incompetent to mastery in about a week. The second time it was because I was so over-trained and emotionally spent that I failed push-ups. Instead of taking a day or two of rest I thought I had to practice hard, and so, of course, I over-trained even more. Let’s just say that didn’t go well. At that point I had been training in selection for about 20 weeks with no rest at all. It was a powerful lesson on pushing the human body. I got two weeks off before joining my new team and the next evaluation I took I belted out an easy 88 reps in two minutes without even trying. The rest of that course was a breeze and I was able to just enjoy it. The beatings never bothered me. I thought they were fun. After selection came the pipeline schools: Airborne, Combat Diver, SERE, Military Freefall, Underwater Egress, and, of course, Pararescue School. Back then it was longer and much more thorough. Right after my class they put the school under AETC (the USAF version of TRADOC) and honestly the quality went to hell. It was a profound difference. I had never been a very good student and I had never really been taught to learn or study. I ended up having to recycle in the medical phase because I failed the Paramedic exam the first time around. They didn’t just have me study and retest, they made me repeat the whole thing. It was different then. There wasn’t a rush to get guys through. The attitude then was that they would do what it took to build the best product. It was a good investment on their part. I became a much better medic for repeating the entire medical phase. After finally graduating Pararescue school, I went to my first team at Patrick AFB, FL just in time to move it to Moody AFB in southern Georgia. That was a depressing way to begin a career! I served on several different teams in both Air Combat Command and Air Force Special Operations Command. I was spending no less than 270 days per year on the road and overseas, often closer to 300+ days per year. That included just about every operation and conflict we had from 1997 onward. With so many days on the road and overseas, I decided to dodge the USAF’s attempts to giving me an overseas assignment by taking an instructor position. I was getting pretty burned out and the AFSOC Chief told me I should go be a Military Freefall Instructor. He said it was a jump club but neglected to mention that didn’t apply unless you were an Army instructor. The rest of us got pretty badly abused and it was by far my worst assignment ever. I went back to the teams where I got to run my own 16-man team for a while before taking an operations job and wearing four hats simultaneously. At this point you can see I had been rode hard, put away wet and was a complete wreck. Boy was I ever! I felt I needed a big change. I had always been the guy they sent to work with the other services and allies. I was more Army, Marine or SAS than I was a USAF blue suit. So I did something a little extreme. I transferred to the Army National Guard because their recruiters suckered about eight of us to transfer to Special Forces to become SF Warrant Officers. The problem is that no one told the teams, the Warrant Corps or the command about this little “program” and it turned out to be nothing more than a big recruiting lie. This sort of thing is pretty typical and one of the Army’s more lasting and negative legacies. This left us in the lurch and very much disgruntled! By the end of four years every single one of us had all left the Army. I spent that time drifting through 19th and 20th SFG(A) and being a Mountain Warfare instructor. As a whole it was a good experience but it took me that long to figure out how the Army operates. It is very different from the way the USAF operates. Better in many ways, yet astonishingly inefficient, incompetent and in the complete absence of common sense. Yet there is a method to the madness and I understand it now, but that’s another discussion for another time. Why did you leave the service? 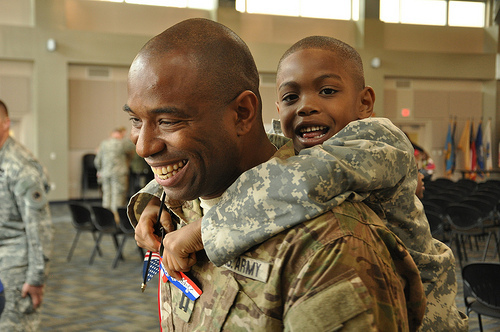 I was in the process of transferring back to the USAF after my stint with the Army when my son called me. He was desperate to escape Michigan. He had run away from his mother a couple years before and was living with his grandparents. Of course, they weren’t any better and he had reached his breaking point. I had to make a choice. If I didn’t get out of the military I would not be able to take care of my son. So I started a new business entity and got to work so that I could get custody of my son. I did that, got him through high school, got him some amazing work experience and now I’m sending him off to the military himself. At the same time, I’m returning to the Army on the Reserve side. What do you miss most about your time there? The only thing I don’t miss is the appalling leadership. I only had two good commanders and two good chiefs/SGM’s. The rest were beyond appalling. So I don’t miss that. Literally everything else I miss dearly. For us in special operations, well, we run a lot differently. One of the most profound things I miss is the fact that we could come up with pretty much any idea for training and then make it a reality. We were always allowed to use our imaginations and that always paid off big time. I recall one time I took my team to Austria for mountain and glacier training because I was able to do it at a ridiculous price. It was funny because during that time base commanders were sticking their noses into every training evolution we did. That was fine by me because few people were as thorough as I was. I met him in his office and he attacked me immediately! By the time I got done laying out the numbers he was apologizing to me and asking if he could personally help me. From that day forward, anything with my name on it was never questioned! Ultimately it boils down to the fact that my job was to do extraordinary things with multi-million dollar assets all over the globe. I could reach out with a couple phone calls and e-mails and the next thing you know I would have hundreds of millions of dollars’ worth of assets all doing what I wanted them to do to accomplish a mission I loved and believed in. If that’s not profound, I don’t know what is! Did you pursue a second career similar to or using the same skills as your service time? Not exactly. I did some independent contract work that leveraged those skills but my primary focus was in addressing the shortcomings of the service. Specifically I have been working on physical fitness, physical training, human performance factors and equipment selection. These were aspects of operations that the DOD is terrible at. They don’t understand it at all and I have been trying to educate them to work smarter so they can work harder. Did you pursue a second career that involved some of the same aspects of your service, such as excitement, danger, fitness, the adrenaline rush, regularity, discipline, etc? In my side adventures in contracting I did some work that was very exciting but it wasn’t permanent. One of the problems with many of these contract gigs is just how fickle and nasty they can be. Many of these companies are run by people who have no business being in leadership and they treat people very badly. It can be very nasty. It was also difficult to do that work because, as I said, I had my kids to care for and I needed to be there for them as much as I could. Going forward, if I could find a company that was run by great people and did the same sort of work, I would love to do that. One of the issues in such a quest is that any company is always concerned about their bottom line whereas the DOD has to spend money or lose it. That difference sets up a very different concept of operations that affects quality. Ultimately, it is very rare to find a company that can provide what the military can. Can you tell me about your transition from service to civilian? Any victories or downtimes along the way? My transition was a disaster that I am just now digging out of. Honestly, the majority of my time as a civilian has been nothing but a down time. I lost everything twice due to an ex-wife and a terrible relationship. If I’m brutally honest though, the real issue was that I didn’t and still don’t know a damn thing about business. I am one of the best technicians and managers you’ll ever find. But I’m not an accountant or a marketing executive. I have no team to manage and I cannot find the courage to self-promote. I know what I don’t know and it scares the hell out of me. I don’t have the time or resources to get the education I need, so every day is spent just trying to figure out how to do more with the extremely limited resources I have. There were many other little things. For example, I had never had to write a real resume before. It was quite a shock to see that what the DOD teaches in TAPS classes is not just worthless, but will ensure you don’t get a job. It’s the blind leading the deaf! Another hard lesson learned was that your ego is your worst enemy. No one in the civilian world cares that you were a steely eyed super cool guy operator. Where are your relevant civilian certifications? Without those, guess what you are? Nothing! Wow! Talk about hard to swallow! So I had to come to terms with the fact that I really screwed up! When they offer you the chance to get your CDL or HAZMAT license, you do it! If you get a military certification, you transfer it to get the civilian equivalent immediately! And while you’re in the service, you had best get some skills and some schooling for when you get out. If not, you’re way behind because on paper you’re not much better than the unskilled competition. If I can relate some victories, I guess it would have to be in finally learning and accepting reality. We have to understand that when it comes to that second career you need to understand sales, business and the way the world really works. You have to understand that all business is about making as much money as possible and that means selling as many widgets as possible. You have to understand that customers are the worst part about business because, while they’re not all idiots, there seems to be a race to the bottom. Thus, you really have to understand people at a deep emotional level because that is how you sell to people and that is how you make them happy even if they didn’t get what they wanted. Strangely, it has little to do with the product. So many of us coming from the military look at products and we demand the best because our lives used to depend on that. But the civilian customer just wants to feel that they didn’t waste their money, they want to feel good about their purchase. That’s very different and it’s not common sense. So figuring out things like this has been extremely beneficial for my personal growth and development. I have also learned to understand what the customer actually needs and wants vs. what I want them to have. Often those realities are too far apart. Business is complicated! The more you discover, the better you’ll do. Did anything or anyone in particular inspire or help you in your transition? A person, book, training, etc? I on the one hand I could say, no. I was simply doing something I thought needed to be done and I was doing it to take care of my kids and girlfriend in what amounted to a survival situation. However, if I dig deep, I was and still am driven by the knowledge that every single member of the DOD needs the information I have. If someone came along and offered me a great salary and I got to keep my intellectual property, I would provide it for free. But I have to put food on the table and get my life back in order so I can’t. But when push comes to shove, I am inspired every single day to do what I do for the guys in uniform. They absolutely need this work and I won’t rest until it’s common knowledge in the DOD. Tell me something about you and your journey that will inspire other service veterans looking for a second career. You have got to get clear on what you want in life! You must know what your passion and your purpose are. You have to also get your life in order. I never used to know any of this stuff and it all seemed like weak self-help B.S. that I wasn’t going to touch with a 100ft stick! But after I crashed and burned, hit rock bottom and couldn’t get back up, I finally turned to guys like Tony Robbins to figure out what my problem was. Turns out I was very badly broken and in complete denial. When I got clear on my passion and purpose and when I finally was able to look at all aspects of my life accurately, then I got true clarity. When I got clarity I was able to finally formulate an objective and a mission. You might think that’s a little stupid and that you’re better than all that. Trust me, you’re not and even if you are, what possible harm could come from getting even better? Get rid of the ego and do it. And do it before you get out! For one, you may stay longer because you realize you’re where you belong. On the other hand, you may discover that you want to be a florist. The point here is that you cannot and will not be successful until you have true clarity and emotional fitness. When you have that, everything is pretty easy and becomes fun. Problems become challenges and we all like challenges and the thrill of the hunt. Is there anything you feel I’ve left out that you would like to mention? I didn’t mean for this to become a self-help interview but given the subject, this stuff is really important. I would like to tell your readers that your relationships are critical to your success. I challenge you to honestly evaluate your partner, spouse or significant other. Are they an asset or a liability? How strong is your relationship really? You have got to figure this out because the majority of us are in terrible relationships. This matters because in the military you don’t have to be very dynamic or creative. You can have a terrible marriage but you can come to work, get lost in the brotherhood and do what you have to do. On the outside, your spouse or partner is your support network. You don’t have Uncle Sam or the brotherhood, at least in a way they can help you. So if the quality of your relationship is low or your partner is a liability and a source of stress, you need to fix that or get out of it ASAP. Success in business or even as a civilian employee will hinge on your relationship so much more than you could ever imagine. While we’re at it, don’t think they are the sole source of issues in the relationship. You have to examine yourself with a microscope. The only person we can change is ourselves and if we’re messed up, getting rid of the other person won’t help. This is also critical because when you go to a job interview, or you’re trying to sell something, your personal baggage will interfere with your ability to make a good impression or to close a sale. It affects the quality of a loan proposal or a technical paper. The list is long but understand that the act of building an amazing relationship with your partner will bring you more success in life and business than you could ever imagine! I’ve known Nate for several years. Even in that time, I didn’t know half of what he revealed here. He really opened up, and I hope you realize how important this is. If you find yourself in a similar situation both his victories and defeats can be a tremendous resource. There are a lot of parallels I see in Nate’s story that I see in the stories of other transitioning veterans and even myself in that same timeframe. Nate himself admitted that self-promotion and marketing aren’t his best strengths. Even so, I’ve bought several of his products over the years based on the strength of his resume and the passion for what he does. You can tell it means a lot to him. His products are superb, the science behind them is real, the graphics are awesome, and he has managed to cultivate a large following of fitness practitioners from all walks of life. I definitely recommend checking him out. Once again, you can find Nate at RIKR Defence. What Should I Do After Leaving a Life in Uniform? With my coaching clients I’m often asked this question…what should I do after leaving a life in uniform? It doesn’t matter if you leave for retirement, voluntary separation, an injury, or even a disciplinary proceeding, you still face that question and its ramifications. If you’re wondering what uniform I’m talking about, I’m talking about the military, police, fire, and EMS. Sure, I work with others on occasion, but it’s these folks I have a heart for and work with. In my practice I help highly driven people in high stress/high danger occupations who are seeking significance through a second career. I do this by hacking and attacking the learning process toward action rather than numbing introspection. Through this my clients are empowered to live their dreams and embark on new adventures. Because of my military and public safety experience I understand the effects of losing that adrenaline rush, the desire to be in a uniform of some kind, the need for structure and order, and even potential complications of PTSD. Find another way to serve your employer. Doing what you’ve always done isn’t the only way to serve. Many employers have positions other than uniformed service, such as support staff or independent contractors. Find another uniform to wear. Just because you hung up one uniform doesn’t mean you can never wear one again. You can find another place to work or pursue a different career and still find the thrill you seek in uniformed service. Find a line of work completely opposite of what you did before. Some people leave uniformed service and never want to look back. You’ll need to decide if this is for you too. Find a way to help those still in uniformed service. There are many ways to do this, so, if you choose this route, you will have to find the one that suits your personality and goals. When I left uniformed service after over twenty years in the military, Federal service, and EMS I chose number four. That’s what I do now. 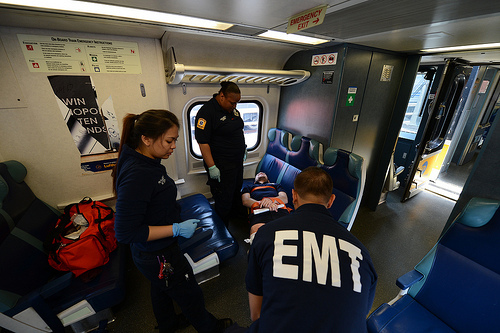 I speak at EMS conferences, I train civilians in emergency preparedness, and I work with my former colleagues as a coach. If I can be of any service to you or your team in this capacity, please don’t hesitate to get in touch. I’m sure by now most of you have heard of the monstrous computer FUBAR that Delta Airlines faced this week. If you were trying to fly Delta and you’re reading this, I’m very sorry. I’ve slept in airports on several occasions, and it is not fun. Delta’s computer shutdown and subsequent loss of service for virtually everyone in their system is common. Not the specifics but the idea that a small issue cripples an entire operation. Delta is experiencing a problem very common to large, established, or older businesses. They lack resiliency and mobility as a company. When things run perfect, it’s golden, but if something goes wrong, all is off. 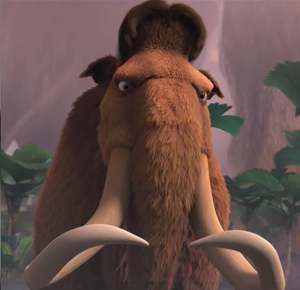 Imagine Delta as a mammoth with a hangnail. The whole beast stops because of a tiny problem. The opposite of this is what I preach in my 550 Team approach. It’s based on utilizing small teams capable of adaptability and quick change rather than one huge team focused solely on seeking efficiency and never finding it. You see, if a small team hits a snag or runs into a problem, they can change up fast and respond in a different way. If they flame out completely, then there are other small teams to step in without ever slowing down the larger machine. Delta is already in the middle of this huge problem. Let’s hope their leadership decides to change things once the fires settle down Let’s hope they break down the behemoth into batches of small teams so we can all get flying faster. Hey, at least it’s not a worst case scenario. Could you imagine if this happened over the holidays? If you want a rundown of the problem at Delta, click HERE.